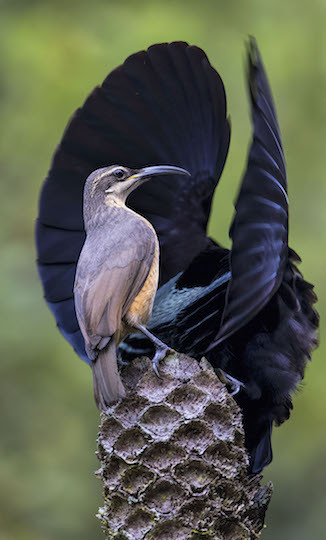 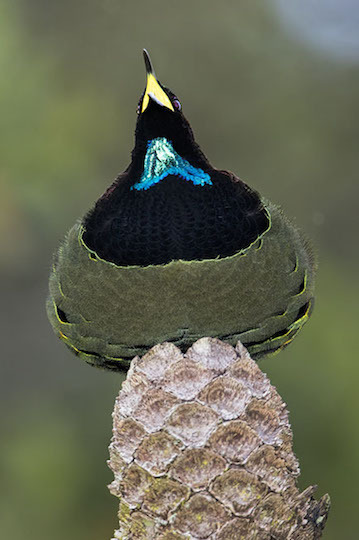 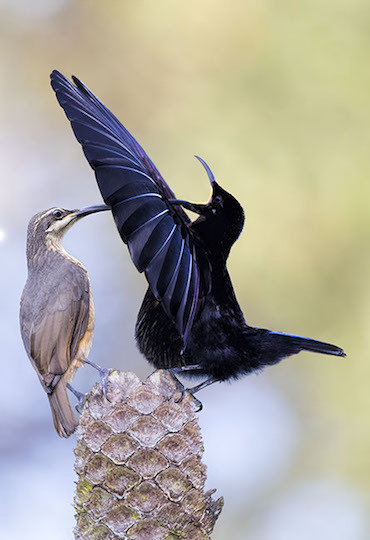 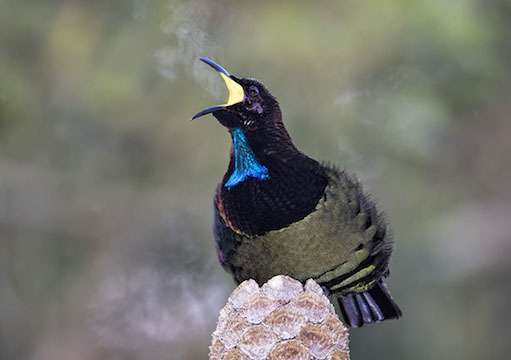 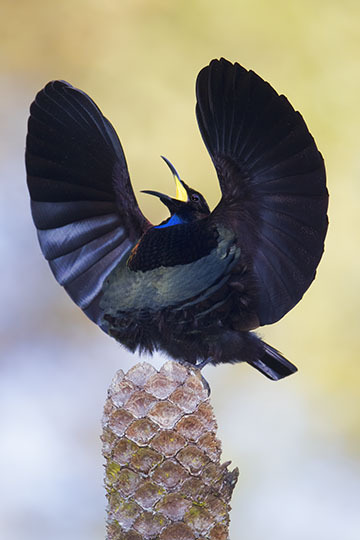 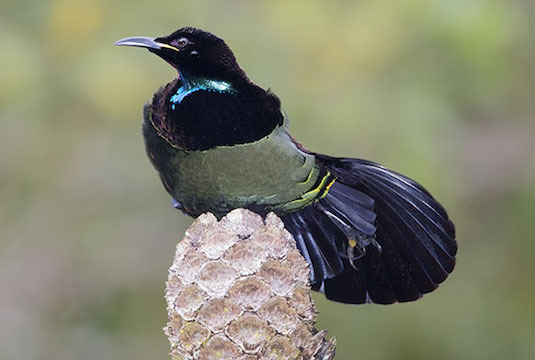 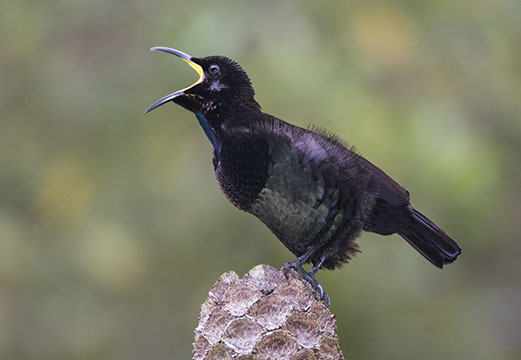 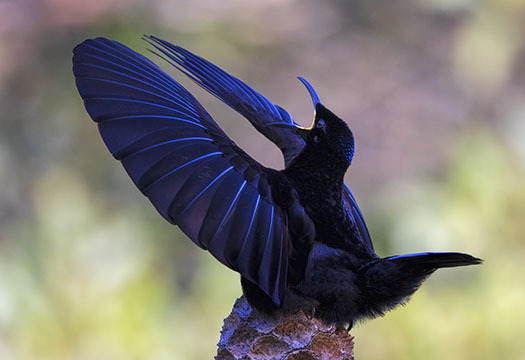 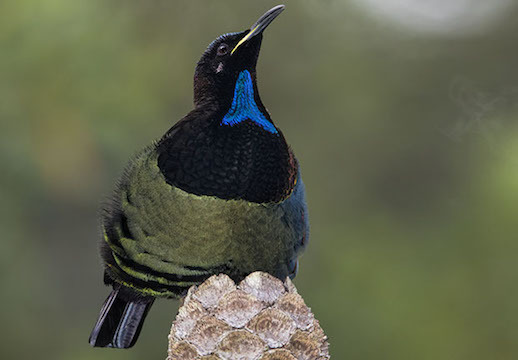 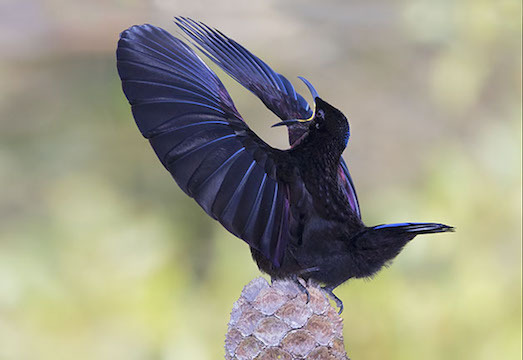 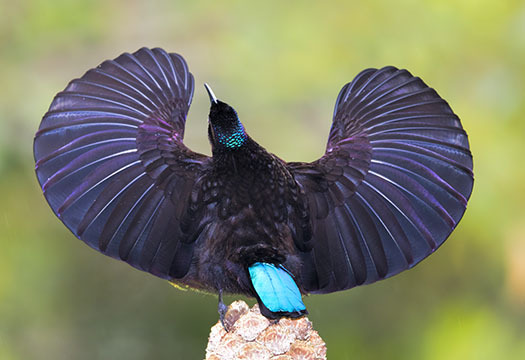 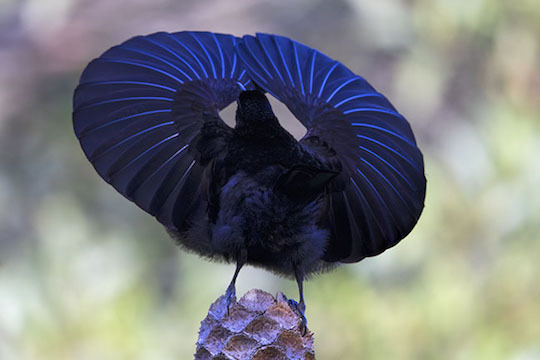 Victoria's riflebirds are the smallest of the three riflebird species in Australia. 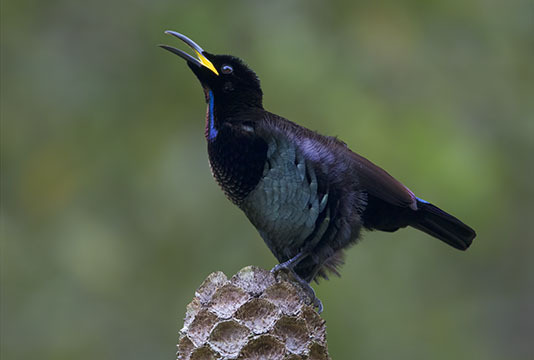 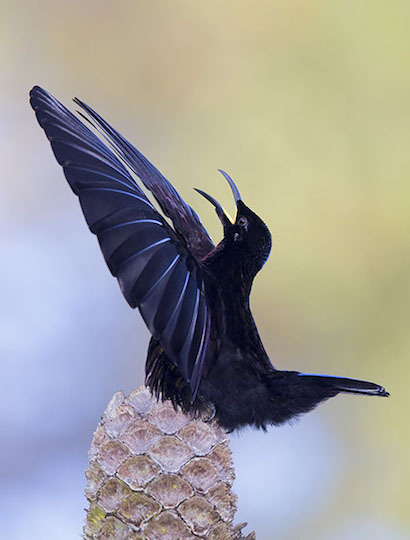 All are rainforest birds, with shiny black males and brownish females (both sexes with a striking yellow mouth lining). 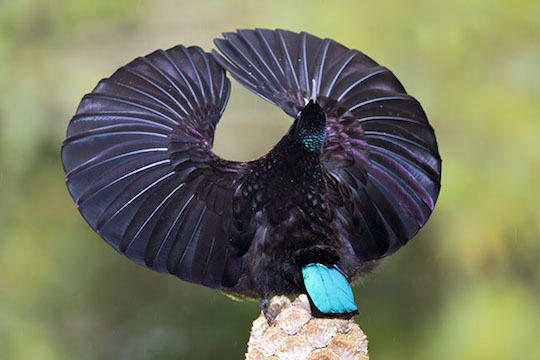 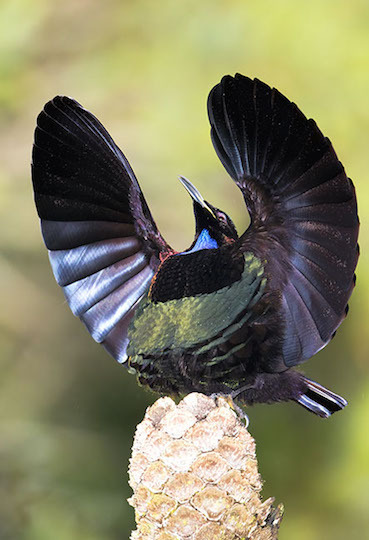 Riflebirds are birds of paradise and although they are not as brightly colored as some of the New Guinea species, males use both their glittery iridescent plumage and some dramatic posturing in an impressive courtship display, shown here (non-displaying males are on this page). 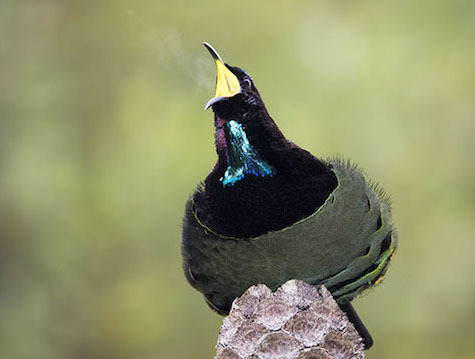 In a few photos you can see a little cloud of water vapor in front of the open mouth, a result of the bird's loud raspy 'yaaasssss' call. 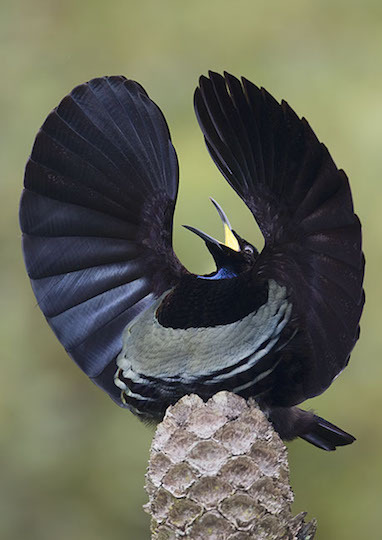 This male was performing on a tree fern stump at Lake Barrine on the Atherton Tablelands in far north Queensland.